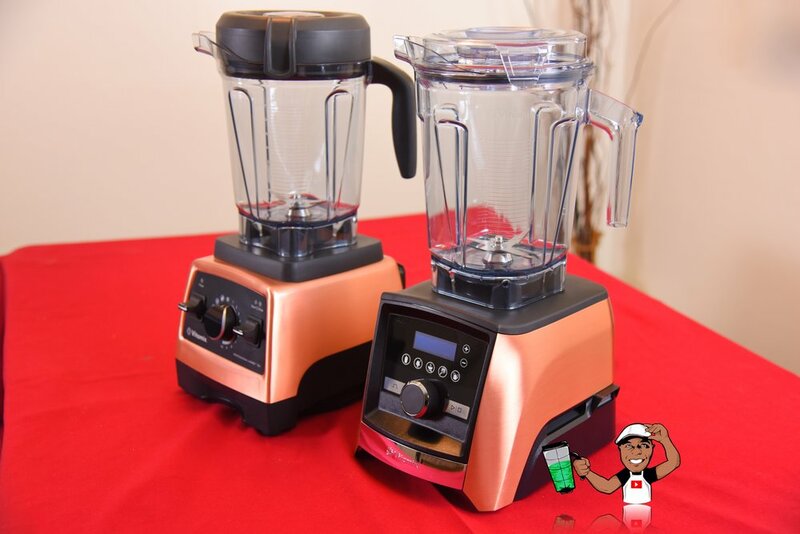 VITAMIX ASCENT A3500 COPPER METAL FINISH REVIEW! 2018 may well be the year for copper! TV infomercials, ads, home shopping TV networks and local stores have been bombarded with copper frying pans and various copper style appliances. Interesting to see that the blending industry has totally missed out on what could be a huge seller. A copper-style blender. Vitamix took notice and jumped on this missed opportunity. They first started with the Professional Series 750 in Copper Metal Finish, which was a huge success, and new for 2018 is their flagship Ascent Series A3500 in Copper Metal Finish, and it's stunning! Speaking only in terms of the overall design, it may be subjective in terms of which one looks better, but the Ascent A3500 offers a high-gloss brushed copper metal finish whereas the Pro 750 offers a semi-gloss burnished copper metal finish. Both machines are beautiful, but the A3500 may fit in better with Chef-style kitchens or high-end interiors. It's sharper lines and sculptured design represent a definite move towards the future. Feature-wise, they both offer variable speed control, dedicated pulse and 5 presets. 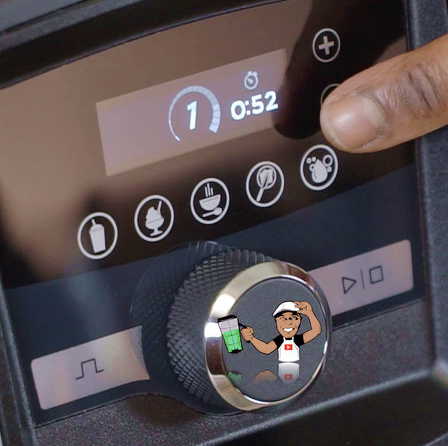 The Ascent A3500 adds touch controls, digital timer, programmable timer, self-detect technology (which determines which container is being used and adjusts speeds and or presets accordingly) and slightly quieter operation. The back of the Vitamix Ascent Series A3500 is as beautiful as it is in the front. In fact, the back of this blender is more beautiful than the front of most other blenders. The Copper Metal Finish will instantly beautify your kitchen, or enhance an already beautiful Chef's kitchen. While the copper metal design isn't exactly understated, it offers just enough to compliment your home. New products are generally out long before they are supported by accessories. Vitamix quickly supported their Ascent line with a great deal of container options. Along with the included Vitamix Self-Detect 64oz container, you may purchase the optional Vitamix 48oz Self-Detect Wet Blade Container for making drinks, nut butters, frozen desserts and various other recipes that are liquid based. You may also purchase the optional Vitamix Self-Detect 48oz Dry Container for grinding grains, chopping and making flour. Smaller Self-Detect containers such as the Vitamix 8oz bowl (for baby food, dips, spreads and milling spices) and Vitamix 20oz blending cup (for single serve drinks) are perfect for smaller recipes. Blending noise definitely varies depending on the container. The included Vitamix 64oz container and the optional Vitamix 48oz containers were quieter, but using the Vitamix 8oz bowl and Vitamix 20oz cup presented a much noisier blending experience. WHAT'S IN THE VITAMIX ASCENT A3500 BOX? 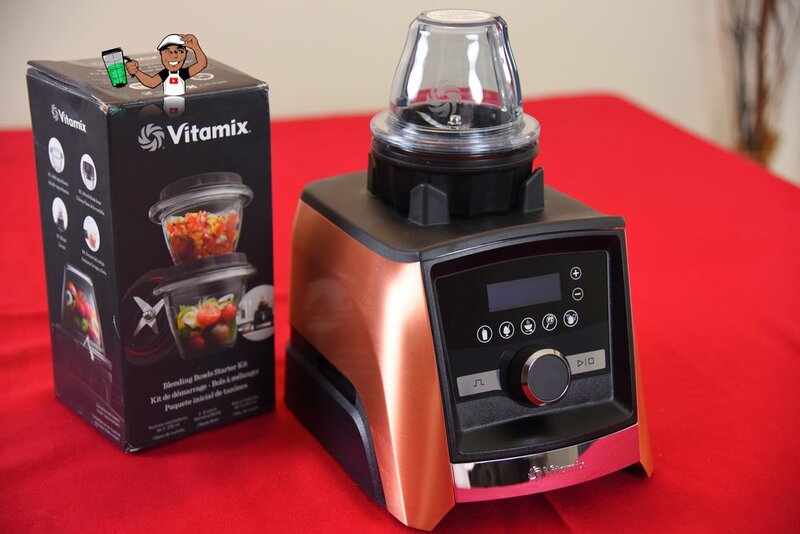 Inside the box with the Vitamix Ascent Series A3500 in Copper Metal Finish is the Simply Blending recipe book, Tamper tool and 64oz Wet Blade Self-Detect container with see-thru snap on container lid. Vitamix includes a full 10 year warranty that covers normal wear and tear, plus paid for shipping back and forth for service. 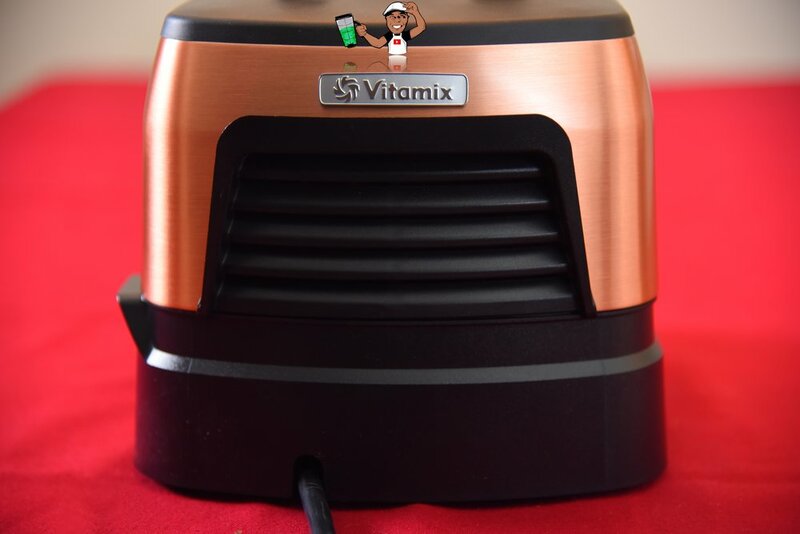 Vitamix also paid attention to detail by putting a reflective copper sticker on the box to verify the Copper Metal Finish on the A3500. The all new Vitamix Ascent Series A3500 in Copper Metal Finish is nothing short of stunning in looks with the legendary commercial-grade Vitamix performance. Should you upgrade to this model if you currently have the Vitamix Pro 750? The short answer? YES. The long answer? NO. Yes, if your Pro 750 isn't the Copper Metal Finish model and you're planning to upgrade your kitchen to a copper theme. Otherwise, keep your Pro 750, as it's still amazing and perhaps Vitamix's best selling blender since the Vitamix 5200. The 10 year warranty on the Vitamix Ascent machines assures that they will undoubtedly outlast their warranty as most Vitamix machines have. 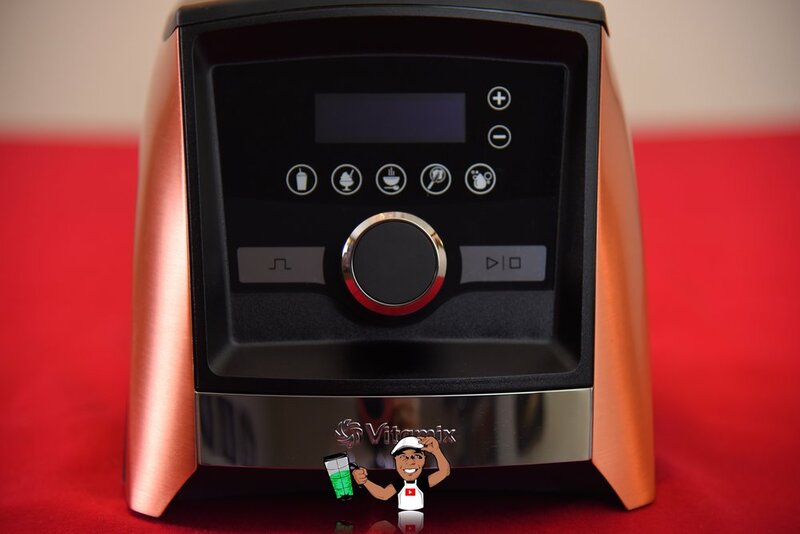 The Self-Detect wireless technology is state of the art and opens many opportunities to expand the Ascent machines past simply adjusting blending speeds based on the container being used. While the Ascent Series offers the quietest blending experience amongst the Vitamix line, this is best achieved using the 64oz or 48oz containers. Noise factor increases with the 20oz single-serve cup and 8oz bowls. While I definitely appreciate the programmable timer of the Ascent A3500, I do wish the presets were programmable, or at least have the option to increase the blending time. 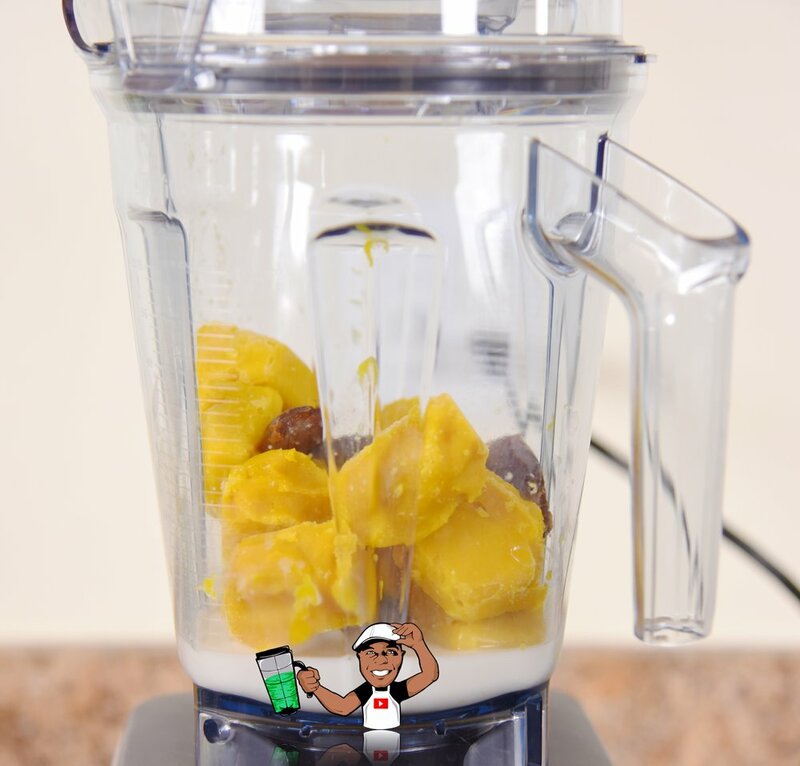 Many home custom recipes may require lesser or longer than the 50 second blend time of the Smoothie preset, leaving the user to manually adjust speeds when using the programmable timer. The Ascent A3500 is priced higher than some competing brands often seen on infomercials, but those infomercial blenders have shorter warranties, lower build quality, cheaper blade design and don't turn out the same commercial-quality blend as what Vitamix has been famous for, so it's worth it to shell out the extra money or save up for it. If you really want great, pay for great. In the end, great will pay for itself. See my YouTube video presentation of the Vitamix A3500 Copper and my delicious Green Lime Juice recipe being made in it HERE! VITAMIX PRODUCT IN REVIEW PROVIDED COURTESY OF VITAMIX CORPORATION. REVIEW UNBIASED AND NO INFLUENCE FROM THE VITAMIX CORPORATION. ORDER A VITAMIX ASCENT SERIES A3500 WITH FAST FREE SHIPPING THRU BLENDING WITH HENRY HERE! VISIT BLENDING WITH HENRY ON YOUTUBE!